Computex 2017 kicks off a little over a week from today and we are already rather excited about what might be launched and demonstrated at this PC industry trade show. Asus is currently running a Computex teaser campaign, posting glimpses of hardware with the hashtag #Computex2017 attached. Here's what we can devine so far from the info that has been shared. As has become usual, Asus ROG and Asus will have their own presentations to share a plethora of respective new and exciting products. The Asus presentation will be dubbed The Edge of Beyond and is scheduled for Monday 29th May, at 2pm Taiwan time (Monday, 7am in the UK). It looks like this event is sponsored or co-hosted by Intel. We should expect to see new extremely slim Asus Zen devices, among many other things like personal assistant robots - but probably not new smartwatches. Asus ROG is teasing "Something BIG is coming your way! Can you guess what it is?" Accompanying this tweet we get to see a video, also available on YouTube, and embedded below. The animation is self explanatory but leaves us with lots of questions. The image of an Asus ROG laptop superimposed on an AMD Ryzen logo is rather an obvious tease. 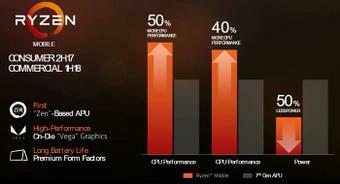 However the questions concern what AMD chip(s) are being used inside this soon to be revealed machine. Could it be powered by a desktop Ryzen chip with discrete graphics from either AMD or Nvidia? 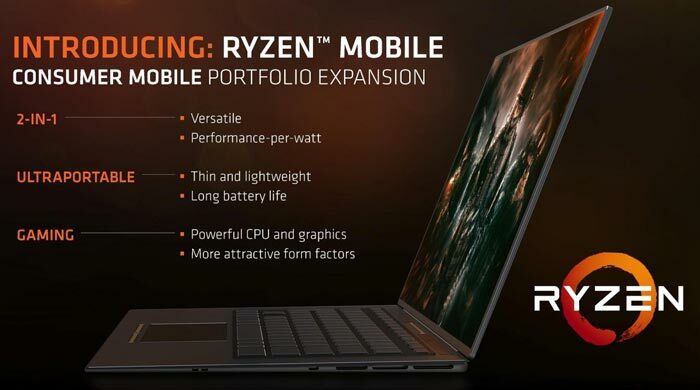 Or could it come packing a Ryzen Vega Mobile APU? The consumer APUs are estimated on the roadmap to be arriving sometime in Q3 2017. Asus ROG has some next gen motherboards on the way too. Expect some 'PRIME' motherboards from the firm to come with integrated displays. I've seen one or two high-end graphics cards with built-in LCD displays in recent months. Such a display could be equally, or even more useful, on a motherboard. As you can see in the short video teaser above, Asus ROG has a system called LiveDash OLED which will display status info like CPU temps and CPU cooler fan speeds. OLED is a good choice in your PC case, for its dense blacks. This could be quite interesting. 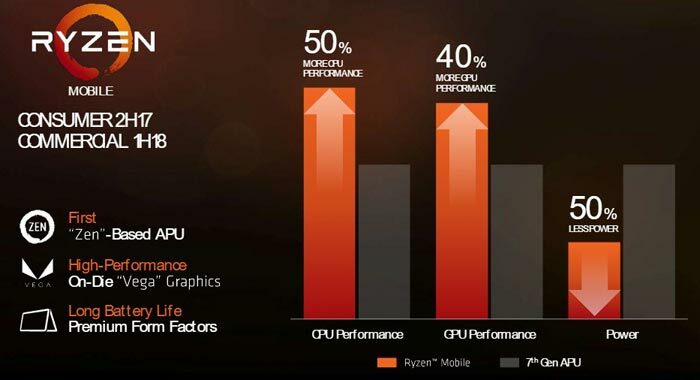 Ryzen should be very competitive at laptop tdps. Think Apple Laptops will get these new RYZEN cards? ?